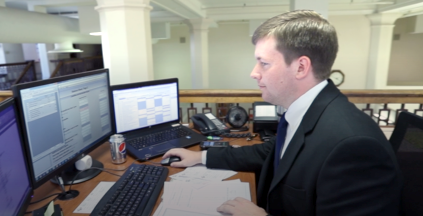 If you require remote assistance from a Gray Hunter Stenn employee, download and run the free ShowMyPC program. When you launch ShowMyPC, it will prompt you to trust the remote user (the GHS employee). 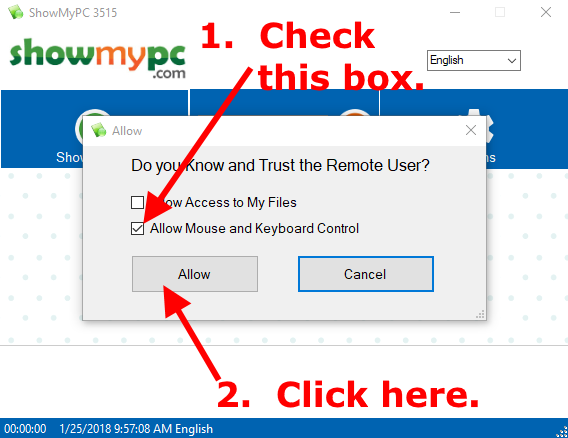 Make sure that the box labeled “Allow Mouse and Keyboard Control is checked, and then click on the “Allow” button. 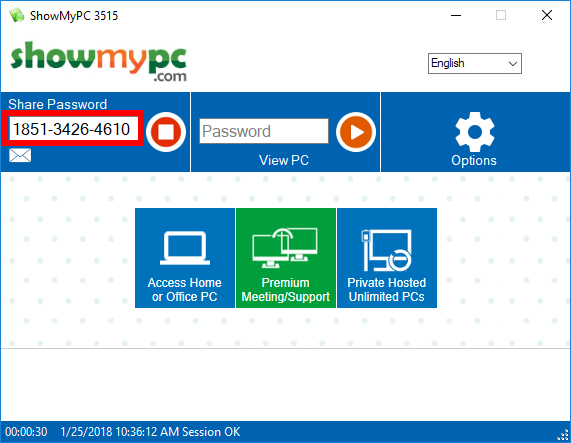 ShowMyPC will generate a password for a connection to your computer. Provide this password to the GHS employee. automatically generated password to the GHS employee. The remote connection will terminate when the GHS employee closes his/her ShowMyPC window, but you can also manually end the session by clicking on the “stop” button.